Those are one model of our wooden handicraft that have carved perfectly by our good craftsman. It called as ' Wooden Soccer Ball' and made from teak wood material. It very durable product for indoor and outdoor use because we have choose the best quality of Teak wood as its main material. Perfect for house decoration and as gift. Wood ball may the excellent gift for your children They can use it as decoration for their room or their table beside some books. 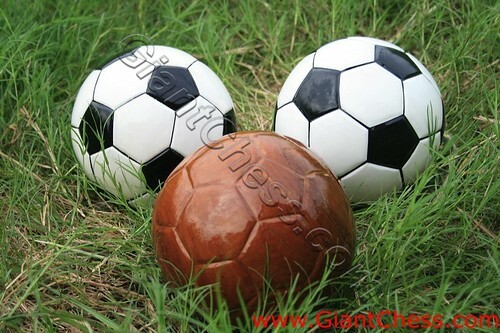 The unusual yet unique art stuffs for decoration is the natural teak soccer ball. It has the shape and dimension as the common soccer ball. You can decorate your interior and exterior with it. You can put it in your living room table, library, children room, school, patio decor and so on.